A brownfield site is property that was once used for commercial or industrial purposes and is now targeted for redevelopment. Brownfields sites can be abandoned factories, gas stations, oil storage facilities, and other businesses that used polluting substances. Such sites must be cleaned up and determined to be safe from any contamination before they can be reused. State and federal brownfields programs assist developers in safely using former industrial sites for new uses such as shopping areas, parks, and schools. Due to the regions century long dependency upon the textile industry as a primary employer, there are numerous sites around the Catawba Region and the state of South Carolina whose redevelopment is hindered by the presence or potential presence of a hazardous substance, pollutant, or contaminant. The Brownfields Cleanup Revolving Loan Fund (BLF) is available to finance environmental cleanup and removal activities at brownfields sites across South Carolina. For non-profit and governmental borrowers, up to 30 percent of a loan may be forgiven. For-profit borrowers may be eligible to receive these loans at below market interest rates. The BLF is funded by a grant from the United States Environmental Protection Agency (EPA) to the South Carolina Department of Health and Environmental Control (SC DHEC). The Catawba Regional Council of Governments (Catawba COG) is the fund manager for the program. For more information on the Brownfield program opportunities available through Catawba Regional, please download our Brownfield Fact Sheet. 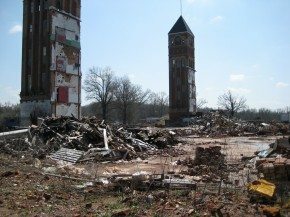 Our brownfields team at Catawba Regional is available to assist your community in exploring the utilization of grant monies specifically targeted at the redevelopment of brownfields. Please feel free to contact Robert Moody, Brownfields Program Manager, at 803-327-9041 for more information.